Mercedes-Benz offers a wide range of models on its compact platform ranging from the mainstream A-Class to the strong-selling GLA-Class. Within this lineup, the CLA-Class fills the niche for folks looking for style and luxury in a smaller package than what the C-Class offers. A new batch of spy shots catches the German brand evaluating the performance-oriented CLA 45 in close proximity to the Nürburgring. 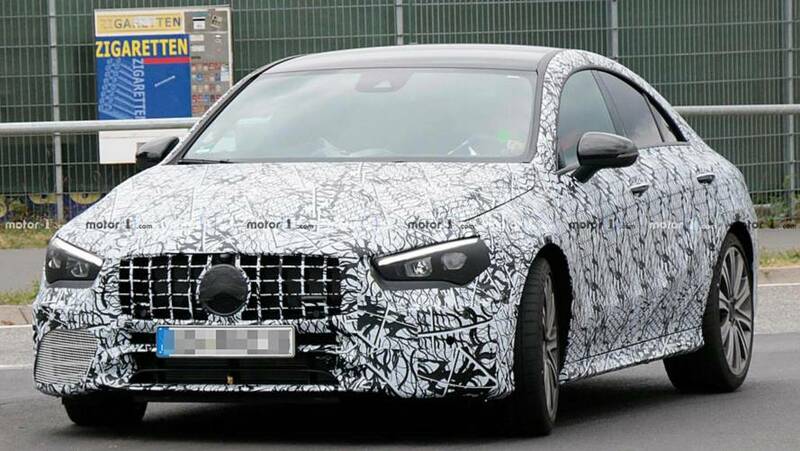 This test mule looks a whole lot like the one in our last set of CLA 45 spy shots. Mercedes' engineers can't completely disguise the front end because covering the fascia's corner intakes would prevent air from cooling the engine. The egg crate grille is likely a temporary piece. and the production model would feature horizontal bars across this area. The headlights point diagonally into the center of the vehicle, which creates an effect like furrowed brows. In profile, the CLA has an arching roof that creates an aerodynamic silhouette, although it might limit headroom for occupants in the back. The top flows to a rather short rear deck. The tip on the trunk has a small lip spoiler. Looking lower, a diffuser surrounds a set of dual exhausts that emerge from each side of the tail. Becuase the CLA shares its platform with the rest of the compact lineup, we have a good idea of what to expect about the cabin. For example, look for a pair of screens to handle the digital instrument cluster and infotainment screen. The model's positioning means that the interior might have nicer materials and finishes than its siblings. 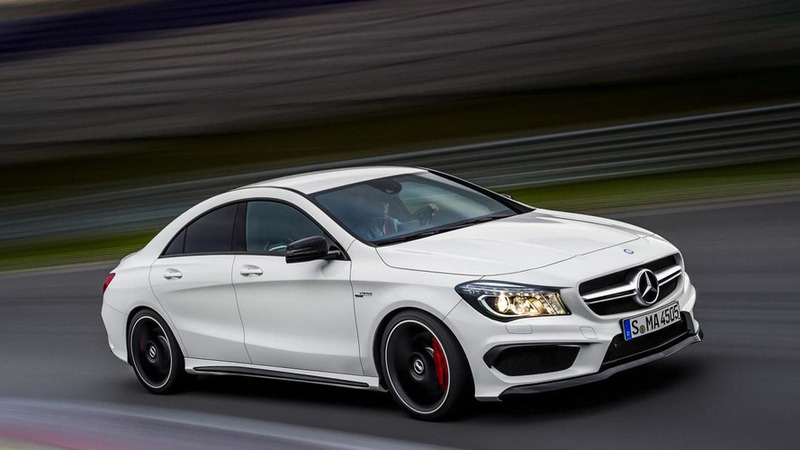 The CLA 45 will use a 2.0-liter turbocharged four-cylinder with over 400 horsepower (298 kilowatts). The company also confirms the development of a hotter S variant that would likely have a slight bump in output – possibly from an electric turbocharger. Both versions would have a sophisticated all-wheel-drive system. The latest CLA-Class should debut in 2019, but the AMG versions might not be available at launch. If you can't wait for a more powerful compact model from Mercedes, then the Mercedes-AMG A35 arrives at the Paris Motor Show in October.